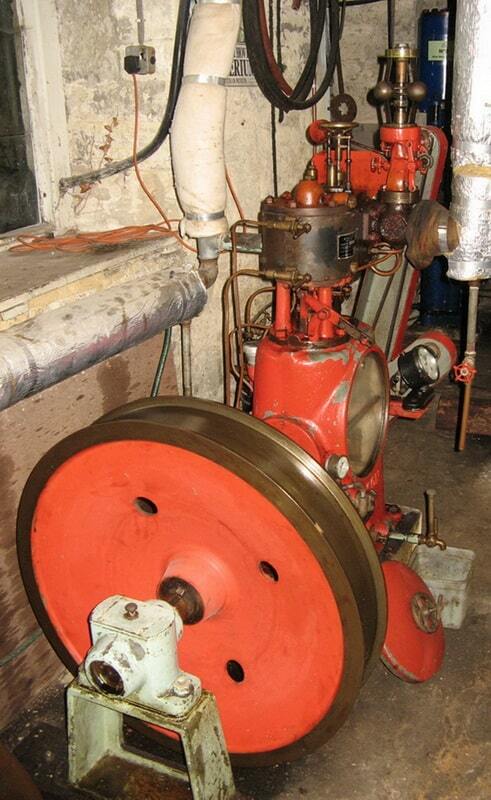 The Weir Pump was built in 1934 by G. & J.Weir of Cathcart, Glasgow, a marine engineering business founded in 1871. 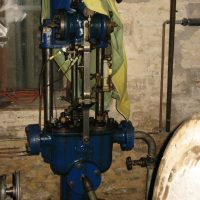 They were best known for their range of feed pumps, as seen here, and many were fitted into ships. 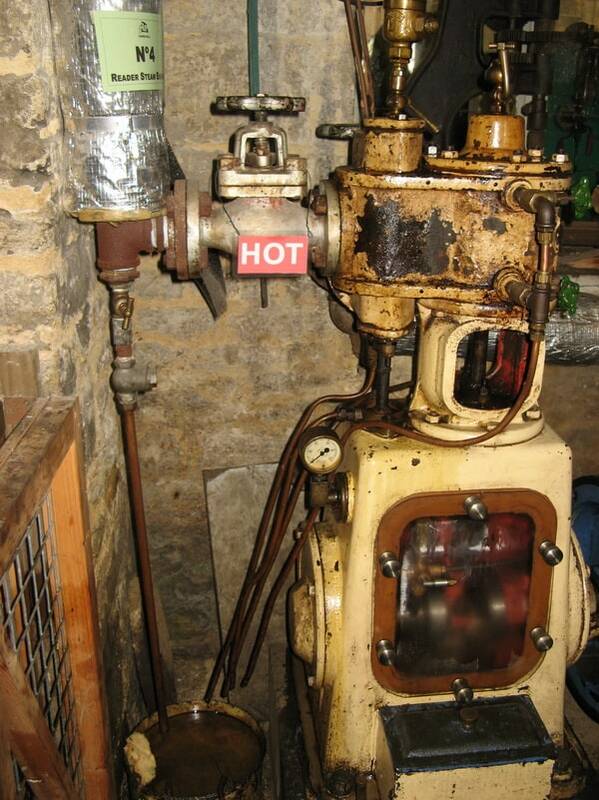 This example, however, was supplied to the Morris Radiator Factory in Oxford in 1934, later Oxford Exhaust Systems. 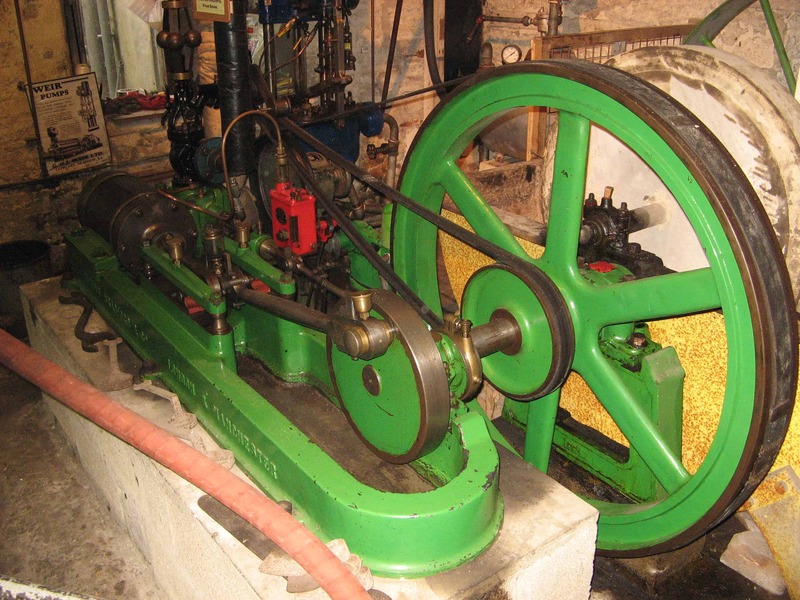 Richard Brown obtained the engine and renovated it for use at the mill. The Weir Pump would have been used to feed water into a boiler and works by producing a higher pressure than the boiler and so forcing the water in. The pump at Combe circulates cold water through the condenser to increase efficiency and reduce steam wastage.